Saeeda Shah is Reader in the School of Education, University of Leicester. Previously she has taught for many years in higher education in Pakistan, holding senior management posts. Before coming to the University of Leicester, Saeeda was Professor and Dean at the University of Azad Jammu and Kashmir. She was awarded the Best University Teacher Millennium Award 2000 by the University Grants Commission, Pakistan. Saeeda is Chair of the College of Social Sciences Equal Opportunities Committee, and member of the College International Strategy Forum. She was programme leader for Msc Educational Leadership (Distance Learning) till June 2014. Currently she is Postgraduate Tutor PhD, and also teaches on educational leadership and management programmes at Masters and Doctoral levels. She supervises a number of doctoral students from the UK and overseas, both on the EdD and PhD. 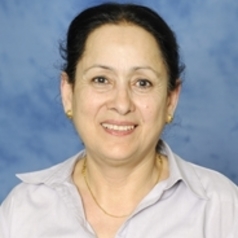 In addition to her responsibilities at the University of Leicester, Saeeda holds many external positions including Visiting Professor of Education at the University of Derby, Fellow of the Higher Education Academy (FHEA), Member editorial boards of International Journal of Leadership and Policy in Schools (USA), Journal of Education (Switzerland), Journal of Education and Research (Pakistan), and editorial review board of Leadership and Policy Quarterly (US) and many more.